Nigerian fast rising gospel singer, Songwriter, Producer, Chinazea Obuaku Love popularly known as C.O.LOVE hails from Enugu state. His debut album “Beautiful experience” his making waves in the market. However, C.O. Love is not resting on his oars as he has been working hard in studio to dish out another hot single “You Alone”. He brings out his stylish psalmist side in this new track and it’s a must hear for worship leaders and brethren that have a passion of worshiping God in Spirit. 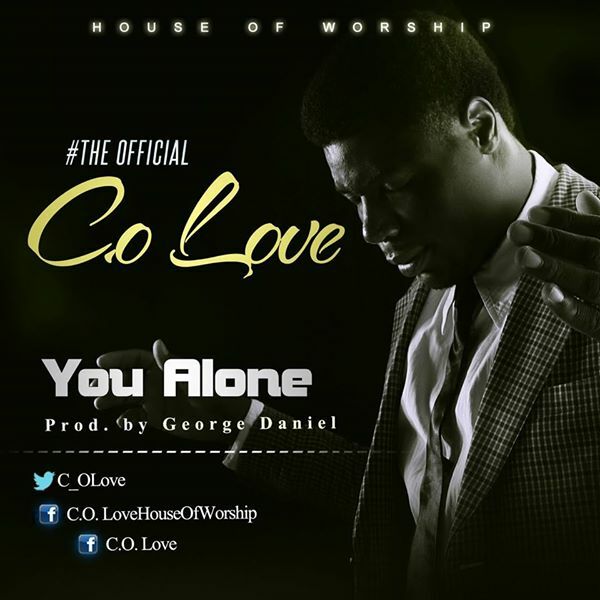 The single "You'Alone" produced by George Daniel is a song that gives total worship and honor to the Almighty God. According to him, I just was to use this single to show my heart of worship to God.